More than two-thirds of U.S. companies offer workplace wellness programs, yet the median participation rate in these programs represents less than one quarter of the workforce. Cultural health check: What does your company’s workplace wellness program say about your organization’s culture? More importantly, what do participation rates in your wellness initiatives say about your company’s commitment to the health and wellbeing of its employees? How can you gain senior leadership support for the purpose of making improvements to existing wellness initiatives? Why aren’t more of your employees participating? How can you avoid top-down changes that fail to engage the diverse segments of your workforce? What can you do to revitalize your program to make it more meaningful, engaging and fun to inspire employees of all physical abilities? How can you raise program awareness in a sustainable manner? 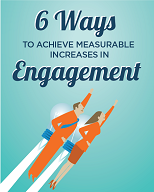 What role can recognition and rewards play in improving participation rates? Moving beyond healthcare cost reduction: Workplace wellness programs, which began as an initiative to reduce skyrocketing healthcare costs, have evolved, as employers recognize the impact of wellness on performance, productivity, recruitment and retention. Wellness promotes engagement: Younger employees view work as part of an overall life experience that encompasses physical, emotional, professional and financial well-being. A study by Humana and The Economist Intelligence Unit reported that more than two-thirds of employees said that participation in wellness programs increased their engagement in employers’ mission and goals. Wellness improves recruitment: Today’s candidates evaluate future employers early on in the recruitment process by exploring work as an integrated experience that impacts their lives in and outside the workplace. A robust workplace wellness program helps define and differentiate your employer brand in the war for talent. The most successful programs today integrate wellness into a holistic view of employee experience across the entire talent lifecycle—from pre-hire to retirement—building on the foundations of culture to contribute to worker satisfaction, engagement, wellness and alignment. For more information: Engage2Excel offers the only recognition and rewards platform that includes a vast library of wellness content and tools for managing program success. The platform is easy to use and implement. 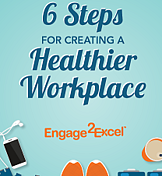 It enables you to encourage healthy behaviors and to engage your employees with a highly interactive solution that rewards participation and complements existing wellness programs. To learn more, click here.